Hello all! I’m currently in Atlanta and attending Microsoft Ignite at the Georgia World Congress Center. I’ll mainly be going to sessions but also spend some time in the PointSharp booth (#2171). If you’re also attendig, please come by and say hello! 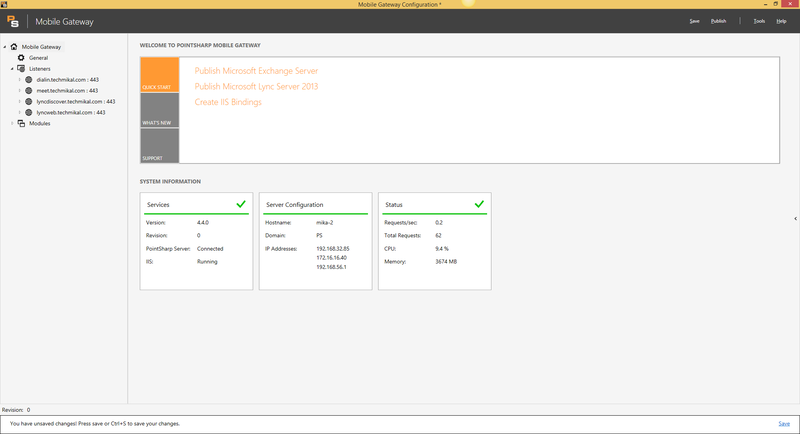 Yesterday Microsoft released SP1 for Exchange 2013. Apart from bug fixes this release brings new interesting features. Some of them stand out a bit more. Finally the OWA will support S/MIME encryption. This is a much needed and sorely missed feature from Exchange 2010. For me it’s an absolute requirement for any Exchange client I use. Excellent! This means that the OWA will have support for claims based authentication. This was possible in 2010, but I don’t think it was a supported configuration. A new protocol has been released and it seems like it will be the default protocol for Outlook. You probably remember MAPI from older Exchange versions but it could not be transported using HTTP. The only way to use HTTP was to use Outlook anywhere which uses RPC over HTTP. In Exchange 2013 Outlook clients left MAPI for RPC over HTTP. I look forward to looking into this new protocol.